After thousands of documents relating to thousands of Yemini and north African children who went missing at the beginning of the Jewish State were revealed Wednesday, Former President Katsav hopes he can find out what happened to his baby brother. Thousands of personal files relating to the Yemenite children affair – the mysterious disappearance of thousands of Yemenite babies and toddlers between 1948 and 1954 –were declassified by the Israel State Archives on Wednesday, alongside personal files of immigrants from Iran, Iraq and Northern African counties. One of those files describes the story of Zion Katsav, the brother of former president Moshe Katsav. Moshe Katsav was born in 1945 in the Iranian city of Yazd to Gohar and Shmuel Katsav. When he was one year old the family moved to Tehran, and when he was five they immigrated to Israel and were housed in the Sha’ar Aliyah transit camp near Haifa. From there, they moved to the Kastina transit camp, which went on to become the city of Kiryat Malachi. His brother, Zion-Shalom Katsav, was born there. In May 1952, at the age of six month, Zion Katsav fell ill and was taken to the Assaf Harofeh Medical Center. The family was then informed that the child had died. When the Shalgi Commission was appointed to investigate the Yemenite children’s affair in the early 1990s, Katsav tried to find out what had happened to his brother, but did not disclose any details. His decision to appeal to the committee, and details of the family’s suspicions, are now revealed in the declassified documents. 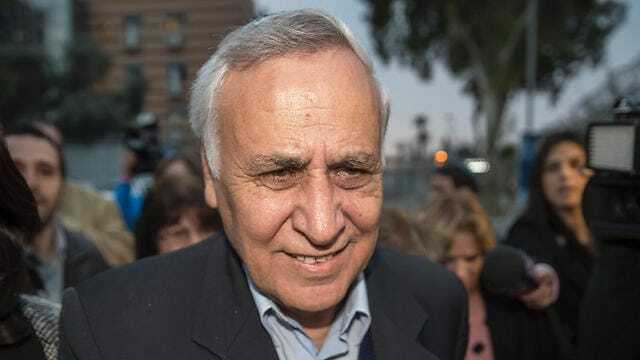 Katsav further wrote that “the baby was taken to the hospital alone – without being accompanied by the parents – and the next day, they notified that the baby had died. No one in the family was shown a body. The National Health Insurance continued to pay out an allowance for an extra child for 10 years following the announcement that my baby brother had died. It was only after I myself wrote to the National Health Insurance about the death of my brother that they stopped these payments, which were then retroactively deducted. Another notable surprise for the Katsav family was that “(the brother’s) name was changed from Avner to Zion-Shalom, but the name was only changed in the population registry in 1965.” Zion’s grave was also never located, but the family was told that the grave was somewhere in the Kastina cemetery. Some of the thousands of documents that were declassified on Wednesday relating to the Yemenite children affair reveal a story indicating that Israel’s first Prime Minister David Ben-Gurion was allegedly approached by an immigrant from Yemen, Yosef Avraham, for help in locating his missing wife and son in 1949. Avraham arrived in Israel with his wife Ktzia, their daughter Mazal and their one-week-old son Tov. They landed at the Lod Airport and were sent to the Pardesiya transit immigrant camp, where they were all medically examined and hospitalized. Avraham recovered a week later, but was unable to find his wife and children. With the assistance of his relatives, he managed to locate his daughter, but his wife and son were nowhere to be found. 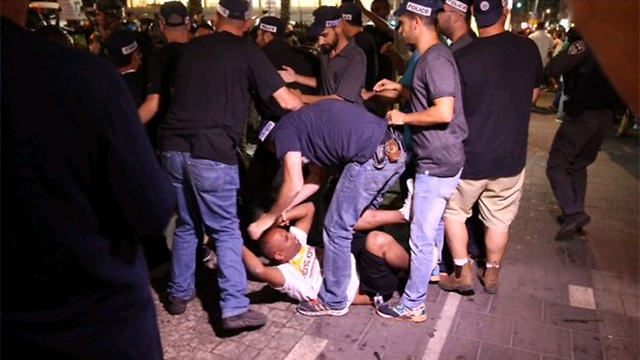 “A policeman gave me a note with the address of the Prime Minister’s Office in Jerusalem. He recommended that I go to there and tell Ben-Gurion my problem,” Avraham said. Amazingly, he managed to meet with the prime minister directly. Avraham returned to Pardesiya after Ben-Gurion gave him money for public transportation. The next day, he was visited by two policemen and a policewoman, and together they conducted an extensive search. Despite the efforts however, his wife and son were not found and an investigation revealed that they had both passed away. Some 3,500 files relating to the Yemenite children affair—the mysterious disappearance of thousands of Yemenite babies and toddlers between 1948 and 1954—were declassified by the Israel State Archives on Wednesday, following a public and media protest and pressure placed on the government by many families. The files contain 210,000 documents which can be accessed on the archive’s website, and will now enable family members to finally learn the fate of thousands of children, while researchers will be able to enter into personal files, examine where they were buried and their causes of death. Among these files, the archive workers found additional unique stories. Dr. Amster was the first woman physician at Rambam Hospital’s children’s clinic, which opened in January 1949. She worked at the hospital till 1953. In 1996, she testified about her work before the Kedmi Commission, which was appointed to look into the Yemenite children’s affair. Her testimony is revealed for the first time in the exposed protocols. “The children arrived at the clinic in a very bad state. I would get called to the emergency room and there would be five, six, eight or ten who arrived at the same time, very sick. They were in serious condition. I went to the ER and I looked at the children … They were in such a bad state that they were immediately given infusions and transfusions and all kinds of treatments. The children were dehydrated and very thin,” she recalled. After the healthy children were discharged to guesthouses or foster homes, they lost contact with the hospital staff, said Amster who also testified that she did not know what happened to them. The complexity of the names in the Yemenite community is also reflected through the story of Sliman Moshe Bahajali, who turned to President Yitzhak Ben-Zvi in February 1954 and asked for help in locating his missing son. The president’s bureau approached the Jewish Agency, the Israel Police, the Health Ministry and the Interior Ministry in search of the lost child. In a response to the president’s bureau, which was defined as “highly confidential,” Dr. M. Yahel, manager of the hospital division at the Health Ministry, blamed the Yemeni Jews’ habit of not using surnames, but rather “six consecutive names which no one could understand.” He also blamed the great confusion during the immigration period and the unprofessional manpower and shortage of workers. He accused parents of failing to pick up their children from the hospital, and even claimed that due to the good treatment the children had received, some parents did not recognize them when they arrived to pick them up. In his response, Yahel mentioned what he called “the rumor” that “the white Ashkenazim convey messages about babies’ death, and actually steal Yemenite children for those who don’t have children.” The commission’s findings eventually determined that Sliman Moshe Bahajali’s son had died two months after his arrival in Israel and had been buried the next day. The archivists detected a similar pattern in most of the testimonies of the families whose children disappeared. Shortly after immigrating to Israel, the families moved to an immigrant camp and the parents were required to put their babies and toddlers in a babies’ house. For a while, the mothers would arrive to nurse and feed them, until one day they were told that their toddler had been taken to the hospital due to an illness. After a while, they were informed that the child had died.